Part of the Studia Fennica Folkloristica series. In their study of social practices deemed traditional, scholars tend to use the concept and idea of tradition as an element of meaning in the practices under investigation. But just whose meaning is it? Is it a meaning generated by those who study tradition or those whose traditions are being studied? In both cases, particular criteria for traditionality are employed, whether these are explicated or not. Individuals and groups will no doubt continue to uphold their traditional practices or refer to their practices as traditional. While they are in no way obliged to explicate in analytical terms their criteria for traditionality, the same cannot be said for those who make the study of traditions their profession. In scholarly analysis, traditions need to be explained instead of used as explanations for apparent repetitions and replications or symbolic linking in social practice, values, history, and heritage politics. This book takes a closer look at ‘tradition’ and ‘folklore’ in order to conceptualize them within discourses on modernity and modernism. The first section discusses ‘modern’ and ‘traditional’ as modern concepts and the study of folklore as a modern trajectory. The underlying tenet here is that non-modernity cannot be represented without modern mediation, which therefore makes the representations of non-modernity epistemologically modern. 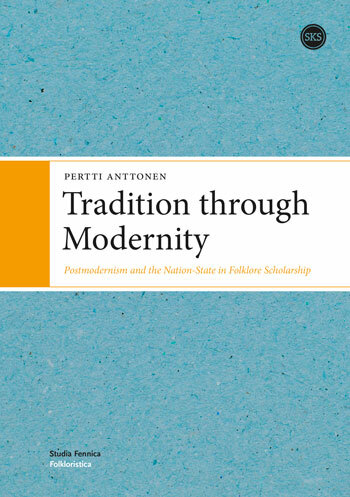 The second section focuses on the nation-state of Finland and the nationalistic use of folk traditions in the discursive production of Finnish modernity and its Others. The insights are applicable worldwide in discussions on cultural representation.